Have you ever been to the Skirball Cultural Center in Los Angeles? I knew when I went there this weekend, I would see the Anita Brenner exhibit and Dunitz & Company kippot in their stunning gift shop. If you live in Los Angeles and you have an interest in Jewish history, this is a must-see museum. The permanent exhibit which explains the history of the Jewish diaspora is exquisite. Did I say they also have a magnificent gift shop? Yes. Yes. It's even more amazing when they have Dunitz & Company offerings on hand. 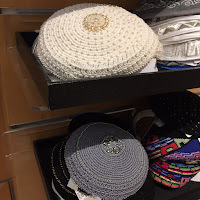 Just the same, the choices for menorahs, candle sticks and other Judaica is some of the best available in the City of Angels. I've been on a mission to see as many exhibits as I can, currently hosted as part of Pacific Standard Time. PST was initiated by the Getty to celebration Latin in Los Angeles. Over 70 arts institutions in and near Los Angeles are hosting exhibitions that do just that. 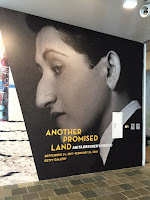 Another Promised Land, Anita Brenner's Mexico, educates us about this influential Mexican-born, American-Jewish writer and journalist who was part of the inner circle of many Mexican artists (Think Kahlo, Rivera, Orozco) most of us are familiar with. It amazed me that she, who had suffered at the hand of so much anti-semitism in her childhood (in Mexico), returned to make a huge difference in educating those living in the USA about the culture and important art scene of Mexico. I definitely suggest you visit the Skirball Center while this exhibit is there. You'll learn a lot. You'll also see a portrait that Diego Rivera painted of Brenner's then young son....such a precious portrait. Did you know I absolutely love mural art? If you follow me personally on Instagram, you'll see that I often post images of graffiti art and murals I see everywhere. I seek them out. In Los Angeles, of course. In Melbourne, Berlin, Copenhagen, New York -where-ever I find myself. 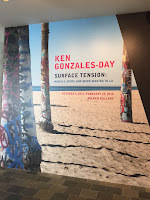 I was delighted to see an ancillary exhibit produced by the Skirball featuring many photographs of Ken Gonzales-Day. He has captured images of countless murals that are found all over this expansive city. It was fun seeing them (most I've never seen) covering the walls of a huge gallery top to bottom. This exhibit is only in one large room, but there is plenty to check out. 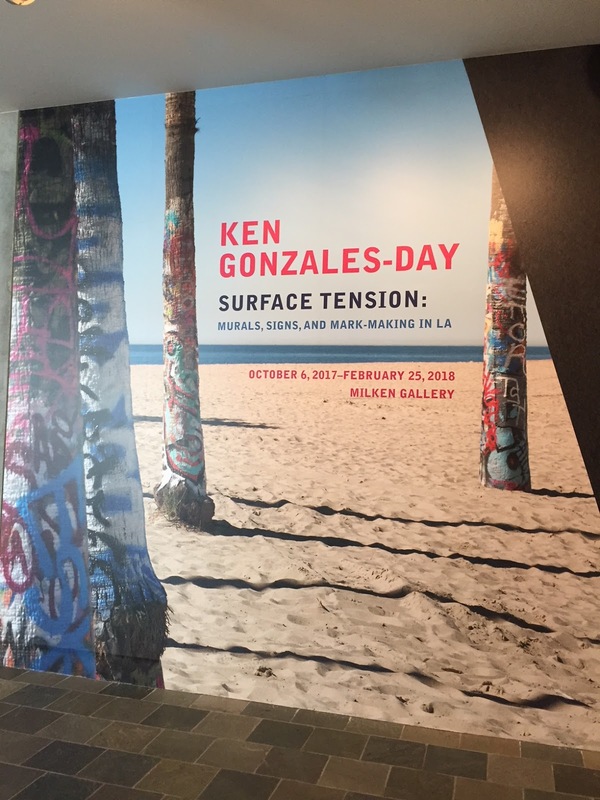 And the floor you walk on is a huge map of Los Angeles with a red pin for the location of each mural Gonzales-Day has photographed. The take-away - is definitely visit the Skirball Center! And definitely see as many Pacific Standard Time exhibits as you can. Most are here in Los Angeles through January and February of 2018. Need a suggestion? Send me a note. I've already seen several others.